The Edge Arena is now the home to the Baltimore Brigade Indoor Football Arena Team. 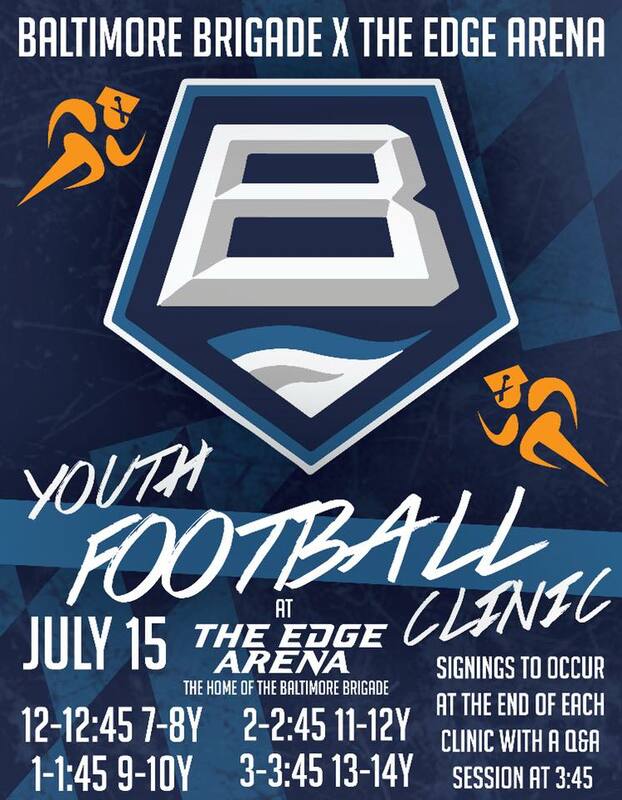 The team is offering a youth football clinic on July 15th at the Edge Arena. Come learn from the team at this clinic as well as singigns and question and answers sessions. Email admin@theedge360.net to sign up!